Have you been looking for an easy to use, ready to go, instantly provisioned Offshore VPS Server? We have got just what you need. WebCare360™ Virtual Private Servers (VPS) are a perfect solution for webmasters, designers, developers, and business owners who wants to host their content with utmost privacy and anonymity. Each VPS is a private and secure slice that operates as an independent server. 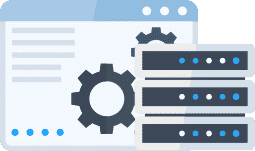 Our VPS solutions allow customers to share the expenses of hardware and networking connections and control their own private servers without compromising on performance. VPS are setup on High end 2 x Hexa Core Processors, 128GB RAM and RAID-10 Protected SSD-disks setup to main hardware node. Servers are never overprovisioned, meaning you will have enough power to run your applications any time. Here at WebCare360, the security of our clients is our top priority. All of the data we store is encrypted. As we are an internet-based service provider, we don’t need to know much about you in order to be able to provide you with good service. Require more resource ? Without any downtime! Upgrade CPU, Memory, Disk Space without migration, transfer of files/databases within same location and platform. Upgrade anytime during active service without any noticeable downtime. Have you been looking for an easy to use, ready to go, instantly provisioned VPS service? We have got just what you need. WebCare360™ Virtual Private Servers (VPS) are a perfect solution for webmasters, designers, developers, and business owners. Your VPS servers will be located on trusted Supermicro servers with Intel Xeon CPUs, ECC RAM and Intel SSD drive arrays. Servers are never over-provisioned, meaning you will have enough power to run your applications any time. KVM represents a full hardware virtualisation platform with loadable kernel modules, giving users the freedom to run a range of Linux distros with any kernel. Each virtual machine has private virtualised hardware including network card, disk and graphics adapter, and with no possibility of overselling, you get guaranteed resources at your disposal any time day or night! Instant VPS server setup within 60 seconds. KVM virtualization enables provisioning of VPS based on independent dedicated resources with near-physical server characteristics and the same management and configuration principles. KVM represents a full hardware virtualization platform with loadable kernel modules, giving users the freedom to run a range of Linux distros with any kernel. Each virtual machine has private virtualized hardware including network card, disk and graphics adapter, and with no possibility of overselling, you get guaranteed resources at your disposal any time day or night! All Windows VPS are setup and delivered within 3-hours. Our DDoS Protected network is capable of mitigating all types of DDoS attacks, targeting any type of online service. Combining a robust network backbone and industry-acclaimed traffic inspection solutions, WebCare360™ provides comprehensive protection against all application, network, and protocol-based DDoS attacks. Our network is proactively filtered in 3 different stages (upstreams, core-routers, distribution routers) and dynamically filtered in 2 stages (distribution routers, firewalls). Our NIDS (Network Intrusion Detection System) device captures inbound traffic, detects and logs malicious traffic, analyzes it and finally provides the most appropriate filtering rules (layers 3-7) to our network firewalls by filtering the attack(s) with the least possible loss of legit traffic. With WebCare360’s DDoS Protected Virtual Private Servers are intended for clients who own Game Servers, Mid-Sizes Businesses and Large Enterprises that require a little measure of resources for long or brief time-frames. With WebCare360’s Fully Managed VPS hosting, you get affordable, scalable hosting, fully managed by the web’s best premium support team. And when we say “fully managed,” we mean it: OS and application updates, performance and security monitoring, automated backups, and much more. So, let our experts manage your server! Anonymous Offshore Linux and Windows based Virtual Private Server is ideal solution for those who needs dedicated resources for the projects. In offshore VPS hosting, a unique physical server, called VPS node is divided into various offshore virtual private servers offering ensured RAM, CPU Usage, Disk Space and a guaranteed excellent uptime. Virtual Private Servers acts as a virtual machine running its own copy of operating system. VPS servers allows users to have a root-level access to setup and optimize their server as per their project requirements. We have deployed hundreds of offshore Virtual Private Servers for our customers. Our DMCA Ignore VPS server costs less, works faster and more reliable than any other offshore VPS providers. With our services, customers can run and manage a fully managed Virtual Private Server located offshore in less than 60 seconds. With WebCare360™, you’ll get ultra speed & solid performance, excellent support as well as enhanced security. 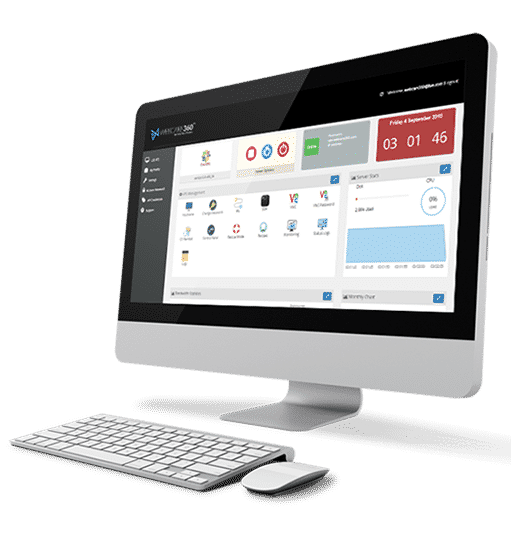 We offer a powerful web based VPS Control Panel (Virtualizor VPS Panel), which allows user to manage their VM like Start, Stop, Restart, OS Re-install, and monitoring of resources.